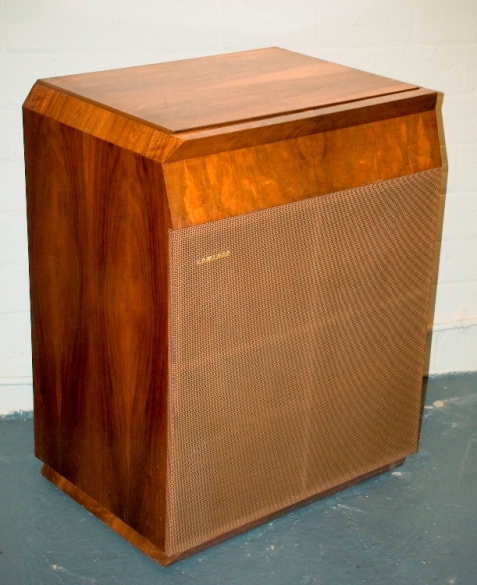 The Audiovector distributes the mid and high frequencies upwards, which is a unique design feature in the early Lowther range of speakers. It was introduced in 1958 at a cost of £48-0s-0d. 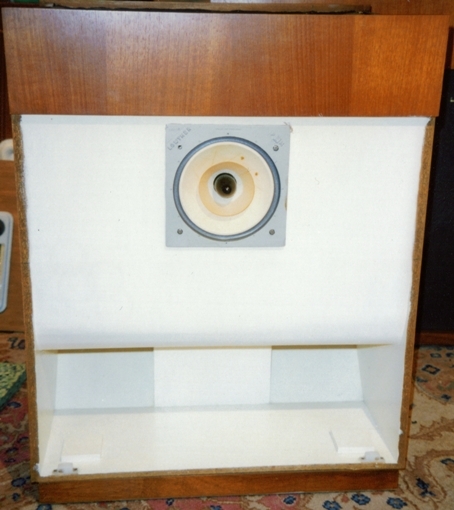 The folded bass horn had a length of approximately 11 feet, and exited the cabinet towards the listener at floor level. It uses a single PM4A drive unit to load both horns. The cabinet measures 34 X 26.5 X 19 inches and weighs 90 lbs. 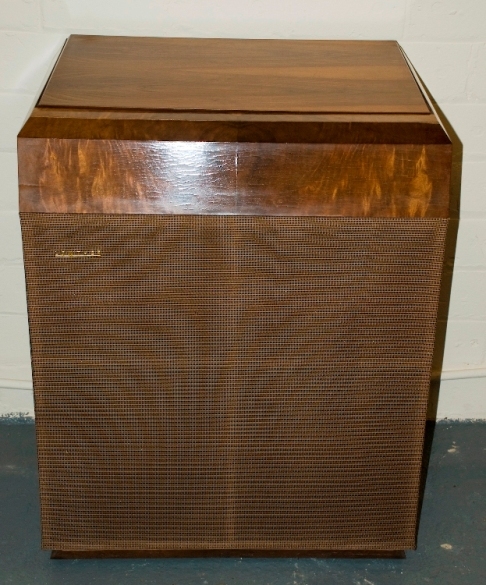 The Audiovector Auditorium is an enhanced version of the Audiovector which incorporates an additional drive unit, a PM2A, mounted at the front of the cabinet, firing directly at the listener. It was released in 1972.